This is one of my favourite online wool companies. 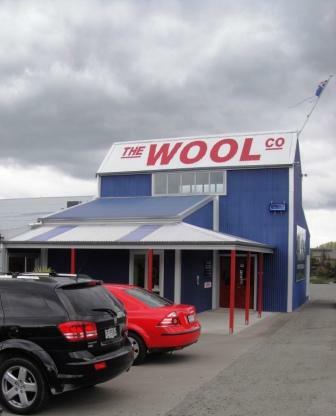 A smallish, but very successful e-business, their only physical presence in the retail market appears to be at their store in rural New Zealand. 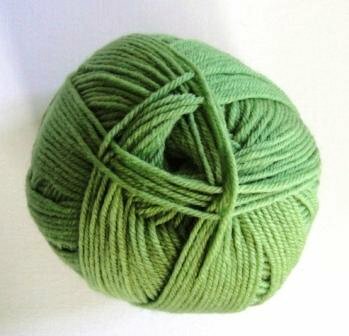 It is possible to buy this yarn online. I’ve found their service quick and very efficient. Travellers can visit the well-signposted shop situated on State highway 1, just south of Taihape in the centre of the North Island. The Wool Company started life as a wool broker. Along the way, they started selling yarns made from the wool they obtained. It’s now a specialist retailer of wool products made in New Zealand. This business a very good example of the good quality and good value that you can get by buying NZ made and supporting the local economy. 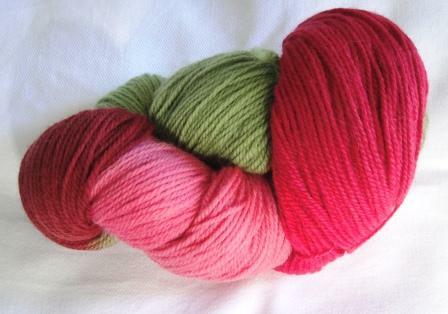 This is one of New Zealand’s best examples of merino possum yarn. The other is Zealana. Some of you may need a small explanation about why I am supporting a fur yarn. Kiwi readers will know all about it. In short, possums (brushtail possums) are a pest import from Australia. With no natural predators, and the run of New Zealand rich in plant and bird life, these possums very quickly bred and now number in the millions. They have caused untold damage to both our unique bird life and forests. They eat eggs, nestlings, fruit and plants, so the destruction is across the board. One way to control these pests in a reasonably humane and environmentally friendly way is to use their fur, which involves trapping and killing (and plucking the fur). Gore aside, this fur is many times warmer than wool and because it’s fluffy, makes knitted garments much more windproof and snuggly than just wool alone. The yarn also does not pill, so you get a fabulous looking garment that stays nice looking. I knitted myself a gansey-style pullover in this yarn a couple of winters ago and wore it almost exclusively because it was so comfy and warm. New Zealand houses are generally not centrally heated, which means you dress more warmly indoors than if you lived in the UK, Europe or the US. I even went for walks along Wellington’s famously windy beaches in the middle of winter, with a howling Southerly blowing in from the Southern Alps and didn’t need a coat. The thermal qualities of merino and wool combined mean that the jumper isn’t too warm if worn indoors either. I am not normally a fan of thin yarn. It doesn’t suit my knitting style. But when knitting for children, even DK is often too heavy. Hence the necessity to knit with this weight. This yarn comes in a wonderful range of colours, all the way from the typical baby pastels to the much richer shades of navy, red, avocado and deep raspberry. They really shouldn’t call it ‘baby’ merino. It puts people off. The colours are perfect for adults too. I have knitted a number of jumpers for my son in this yarn. Anything I knit for him in this yarn is an instant favourite. For him, the bonus is a non-itchy, warm and comfortable jumper. For me, I get the happiness of seeing my hard work appreciated and worn without complaint. It’s such good quality, it doesn’t stretch and hardly pills (I have only had to de-pill once in a two-year wear, which is pretty good going!) and is machine washable. I’m currently knitting a stripey, stretchy in-the-round jumper inspired by Mop’s jumper from “The House that Beebo Built”. I’ll load a pic of that in a post once it’s finished. I’m sitting on my hands trying very hard not to buy any more of this yarn until I destash a bit more. The colours are so beautiful. My favourite is Oasis (top of composite image), although Smoke (pictured in the lower left of the composite image) is also lovely. I knitted my niece a dress in Watermelon and it continues to draw admiration when she wears it, even though it is now a little too small for her. I’m told this yarn is 32 microns (if I recall correctly) taking it just over the scratch threshold of 30 microns. But to feel it, it’s still sooo soft. Feedback from family I have made jumpers for in this yarn indicate it is a wee bit scratchy, but given you normally wear something underneath a knitted garment, they’re fine. My brother-in-law (before he got his own jumper) complained you’d have to cut the jumper I knitted for my sister off her, she wore it that much. Then when he got his, she said the same thing. hehe. My sister showed me the jumper I knitted for her when I was visiting her this summer. After two winters of continuous wear, it still looks fabulous. She said it did pill a wee bit, but she just cut the pills off, and it looks as good as new. I was horrified to see she hung the jumper on a clothes hanger!!! But bit my tongue and didn’t say anything as it has stood up to this particular abuse well. I shall have to get a pic, just to prove it! I wish I had found your blog before my trip to NZ last year, I could have done an official wool tour instead of just getting funny looks for the people running youth hostels… I’ll get back one day. 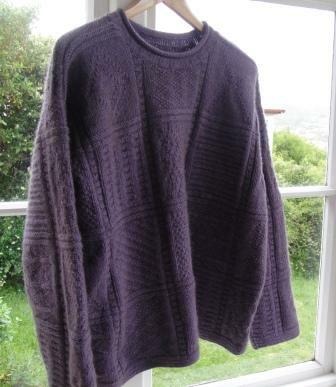 I have bought a lot of garments from the The Wool Company and just love them all. I do need to start knitting again with their lovely yarns. I live in Adelaide but grew up on a sheep farm in Otago so love to support NZ made, and in particular NZ wool. It is the most comfortable way to stay warm in winter. I also love visitng the Quality Yarns factory shop in Milton and have bought a lot there too. Just wish they would go online. So do I! With the recent change of ownership of the mill, perhaps this might happen! Where can we purchase wool from the wool company? The wool looks just what I need for a babies blanket. 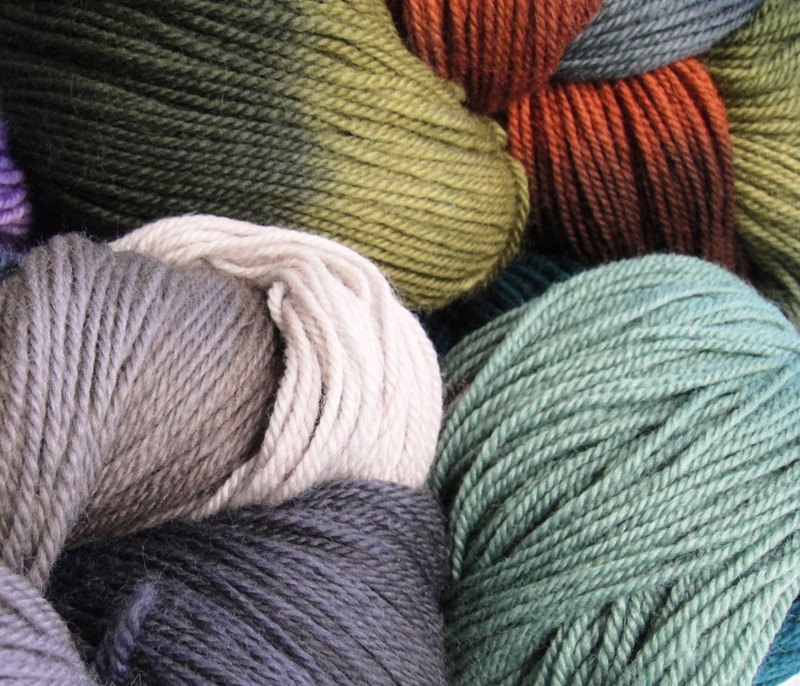 Hi Louise, you can either buy the yarn directly from their store in Taihape if you live their way, or on their website at http://www.thewoolcompany.co.nz or freephone them on 0800 60 70 10 to make an order. I have purchased their yarn with a cheque in the past, so if you don’t have a credit card, this should not be an issue. I hope that helps! The wool is great for baby blankets. I make cot blankets out of the corridale. It is very warm. Love your blog, love your patterns, love that you are fund-raising for Nepal. I live in Skenes Creek, Victoria, Australia and I have friends whose daughter was in Nepal when the earthquake hit – thankfully injured but alive. I have another friend who is a guide in Nepal (he is Neoali) but lives part of the year in Australia – he is fund-raising and has just shaved his head (after not cutting his hair for over 15 years) to raise funds. 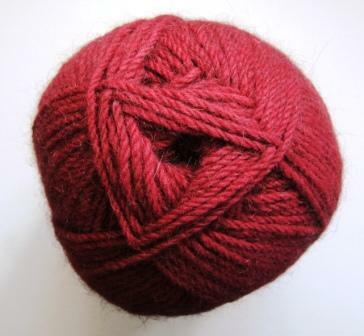 I plan to knit him a beanie in one of the Zealana yarns after reading your blog. I would ove to buy your “Fleet” pattern but can’t find it. OH, currently in Christchurch visiting my son, daughter-in-law and grandson for the fourth time in about 12 months – thank you Virgin sales. Sorry for the long comment! Thank you for your lovely comment. 🙂 I’m glad you have got inspiration from my blog re Zealana yarns. 🙂 Fleet is unfortunately not my pattern – it’s an old Rowan (Kim Hargreaves) pattern that appears to be out of print. You might find a copy in your local library (the book is called A Treasury of Rowan Knits). Thanks for the tip, I will keep an eye out for it.